This salad is crisp and refreshing - perfect for summer barbecues alongside grilled meat and vegetables. It also uses a seasonal favourite in a new way - juicy watermelon is the star in this quick side salad! Substitute quartered fresh strawberries for the watermelon chunks. 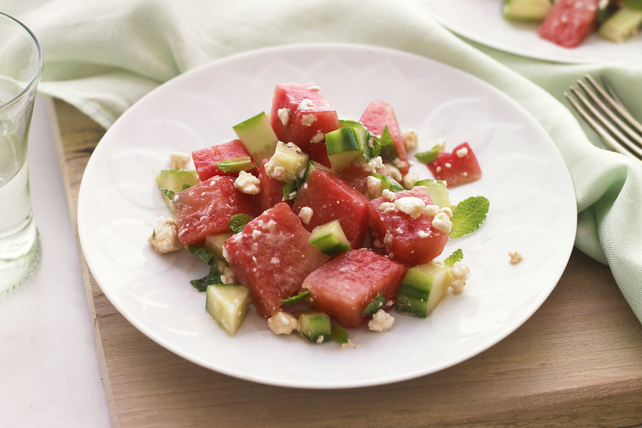 This refreshing salad is the perfect side to serve on a hot summer day. And as a bonus, it can be part of a healthy eating plan.